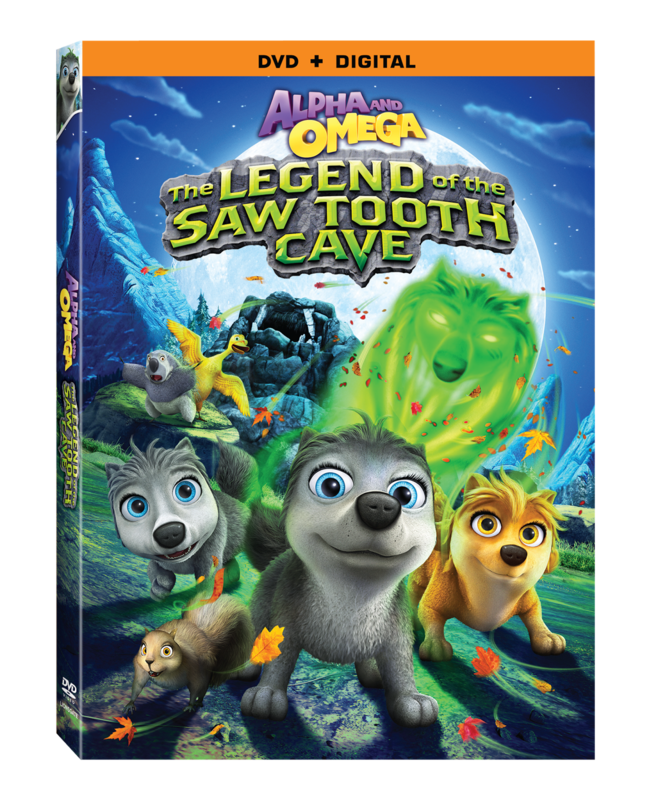 We were recently asked to review Alpha and Omega: The Legend of the Saw Tooth Cave which became available on Digital HD and Video on Demand on September 23rd, 2014. It will also be available on DVD (and Digital) exclusively at Walmart, today October 7th, 2014 from Lionsgate Home Entertainment. My boys were huge fans of the last three Alpha and Omega movies, so I knew there was going to be a good chance they would enjoy this one! Not to mention the spooky theme for my Halloween loving family! This one includes two bonus features too: Race to Rabbit Poo Mountain and What Happens Next? Game! 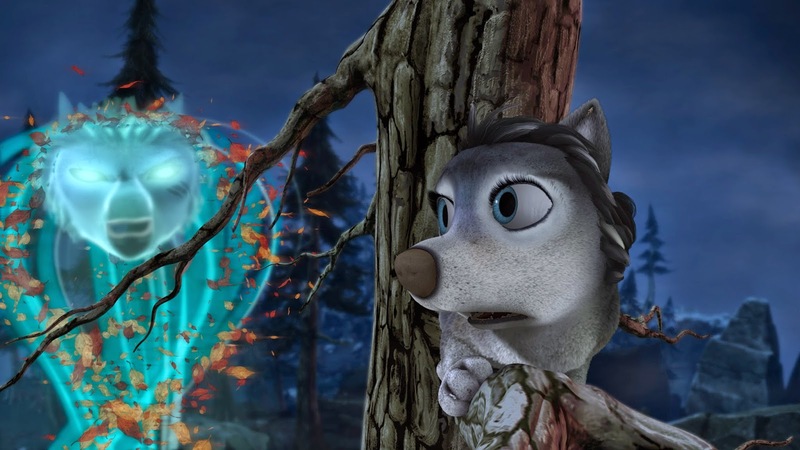 The synopsis says "The Alphas and Omegas share a thrilling adventure filled with surprises, humor and heartwarming moments after Runt - Kate and Humphrey's Omega wolf cub - sneaks off to explore the haunted Saw Tooth Cave. 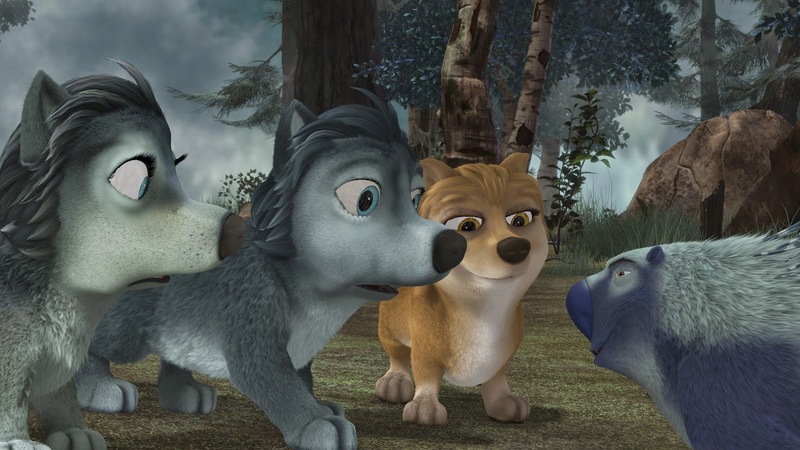 When Runt finds a wolf who's been driven from her pack for being different, he musters all his courage to help her - and learns the joys of lending a paw to a friend in need." I was definitely correct in getting this one for them as they BOTH decided to watch this one the night it came in. When I asked them what they thought, they both belted out “IT WAS AWESOME! !” They've even been talking about how excited they are for Halloween since it arrived! This was a perfect one for the entire family to watch. Recommendation: I thought the quality of the film was great and the story line was a spooky but sweet one. I'd be willing to pay $20 for this and possibly even more since we all like the film so much! 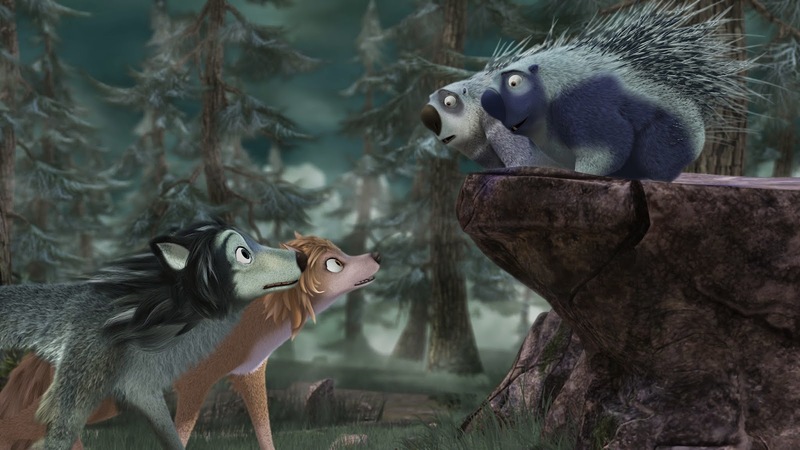 Giveaway: Lionsgate is going to give one of A Lucky Ladybug's lucky readers Alpha and Omega: The Legend of the Saw Tooth Cave DVD of their own! My son was Bumble Bee last year and he wants to be him again but bigger and better. My favorite was my son's rocket ship costume. My sons favorite was when he dressed up as "multiverse" versions of himself on little sticks w/pictures above his head. My favorite costume was a Minnie Mouse outfit I made myself. I got many compliments. My kids' favorite costumes were Peter Pan and Tinkerbell. My daughter's favorite Halloween costume was her Finding Nemo costume she wore when she was 2! My favorite costume was from when I was pregnant - I wore an oven costume that had a bun and then my husband wore a chef hat and apron that said "bun maker"! Growing up, I loved dressing as a princess. My son is going to be Spider man this year... He loves being a super hero. My little one's favorite costume was a soldier last year. I can remember dressing up as Ace Freeley from Kiss and wrapping aluminum foil around my boots. My son dresses up in costumes daily. But my favorite was the godzilla mask he made from paper. One year, I was tigger and my daugther was baby tigger. It was super cute! My daughter was Jesse from Toy Story last year, so cute!! My son who had the coolest turtle costume! last year my older son was dracula and my baby boy was a bat and they looked so adorable together! My favorite Halloween costume was the black and red senorita outfit. My grand daughter dressed up as a Lalaloopsey Doll last year, that is her favorite costume so far. An illuminated Christmas Tree is the best costume! I liked the year my daughter was a red m&m. My favorite of my 3 children's costumes was my sons skunk costume last year, It had a little red heart on the bum that said Mommy's little stinker. Could not have been a better costume for him! My kids are after dr who this year. This is my kids first Halloween she will be snow white, my favorite that I was would be jasmine as a kid. This will be the 2nd year my granddaughter has went as Pikachu. i really liked it when we dressed up as the adams family together, it was super cute! He's only 15 months and we haven't dressed him up yet. I liked the year I did a cat costume. I love homemade costumes the most. My niece dressed up as a sandwich last year, that was a really cute one! I suppose I like cosplay the most, you know anime? My daughter wants to be Elsa. The problem is everyone else wants to be Elsa too. We are having a heck of a time trying to find a costume but she's only gonna be 5 once. We are going to find one and make it her best Halloween yet!